Last night we explored the Vivid Sydney Festival which runs from 6pm to midnight from 24th May to 10th June. There are dozens of different light displays and a free ferry which can take you to the various spots around the city. 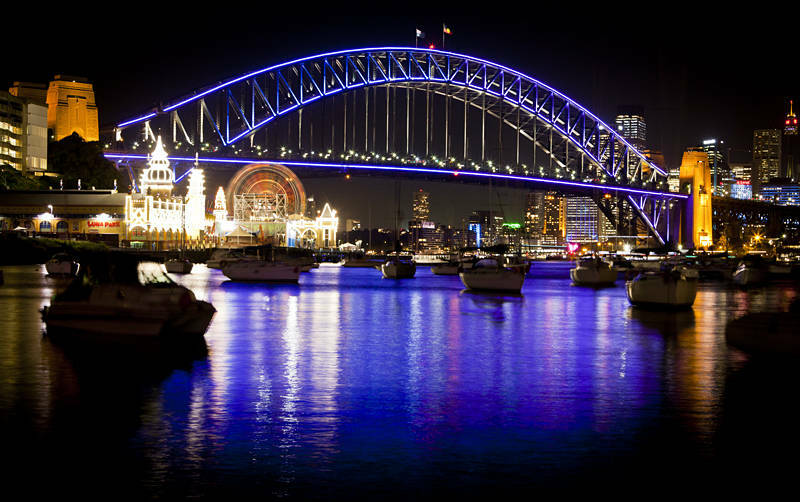 The Sydney Harbour Bridge was lit up with 100,000 individually programmable LED lights which were controlled by members of the public via a touch screen in Luna Park. Since returning to Australia 3 weeks ago I have been so busy with freelance photography this is the first time I have been out shooting for fun. I have entered this image to the Adventure Tours Photography Competition.